Emily studied at Keele University and graduated with an LLB in Law. She completed her Legal Practice Course at Chester College of Law and later worked as a Legal Executive in residential property for a Chester-based law firm. Emily joined Hatchers in 2015 and qualified as a Solicitor in July 2017 following completion of her training contract with the firm. Emily’s training seats at Hatchers included residential property, commercial property, family and dispute resolution. 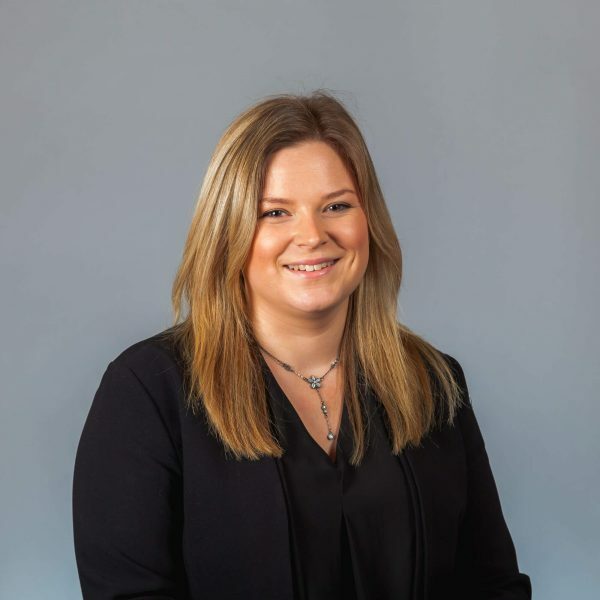 Emily now works within the area of residential property, and deals with property transactions including sales and purchases, transfers of equity, re-mortgages and new builds including Help to Buy. In addition, she deals with wills, Lasting Powers of Attorney and probate matters. Emily lives in Cheshire, she enjoys reading novels, Irish dancing, cooking and a range of music. She is a skilled musician who plays double bass as well as classical and Irish flute. In 2017 she organised the inaugural Crossover music festival held in Congleton, which featured talented bluegrass and folk artists.